College age students are trendy and difficult to predict. 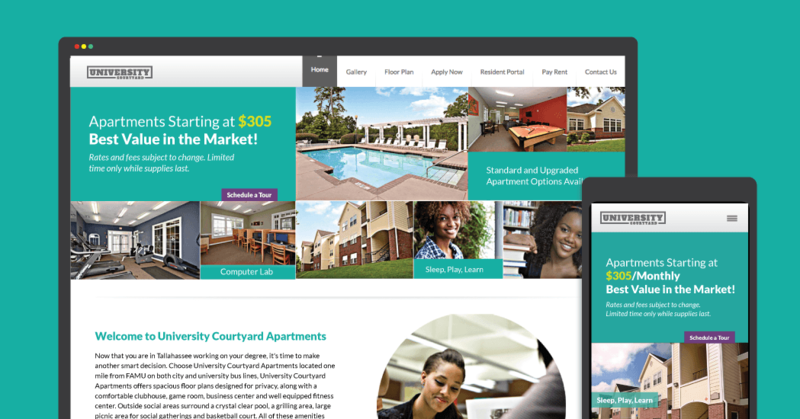 University Courtyard, an apartment for young adults between the ages of 18-25 in Tallahassee, Fla., needed to recreate its image to keep up with its ever-changing market without sacrificing its professionalism. We enjoy challenging projects that merge the fundamentals of design and technology with our unique brand of creative exploration. To reflect the collegiate climate, the logo would be designed to reflect its voluminous student occupancy by utilizing a bold, slab serif type. The incorporation of bright colors will counter the muted colors of the property’s environment. Our exploration of the property’s location, residents and management company determined the project’s direction. 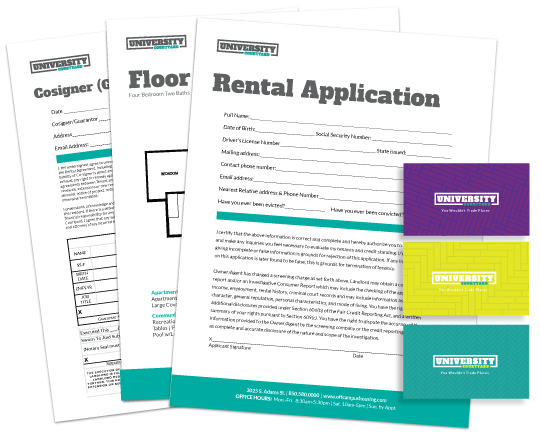 We wanted all materials to convey fun and energetic persona of the college student. 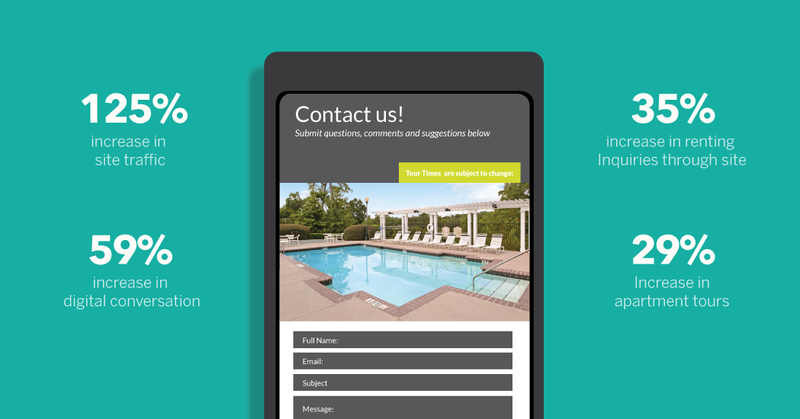 Gathering content was the first step in our initiative to develop the website. 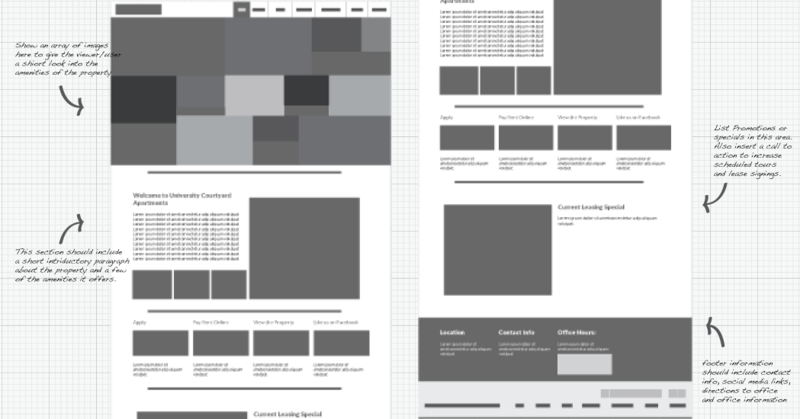 To be a guide in the developmental stage, wireframes were created and presented to the client to show the design’s direction. 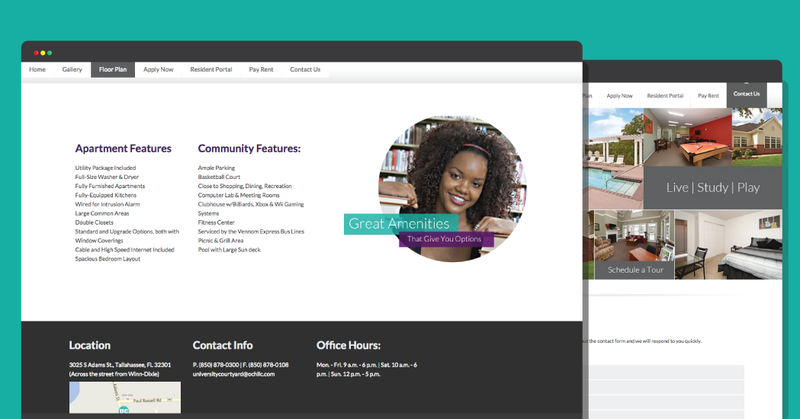 The property’s new image would expand its reach into the digital realm. 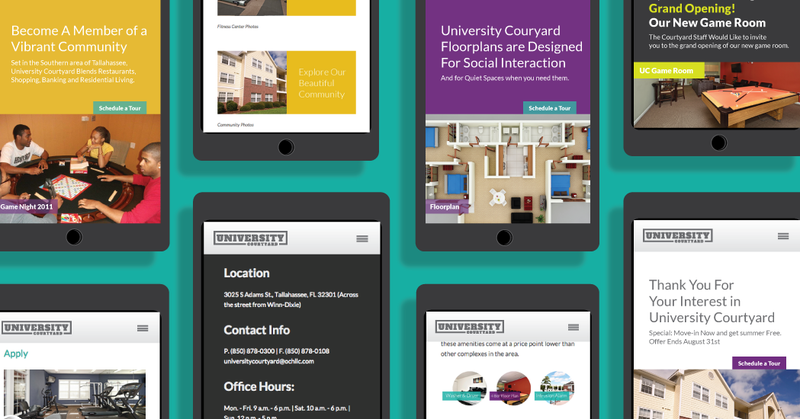 Creating easy access to the website was top priority in an effort to cater to the college student’s “on the go” lifestyle. Signage announcing the property’s many features were utilized around the facility to grab the attention of drivers. The visibly bright, contrasting colors easily attracted the attention of passer-bys and influence interests. 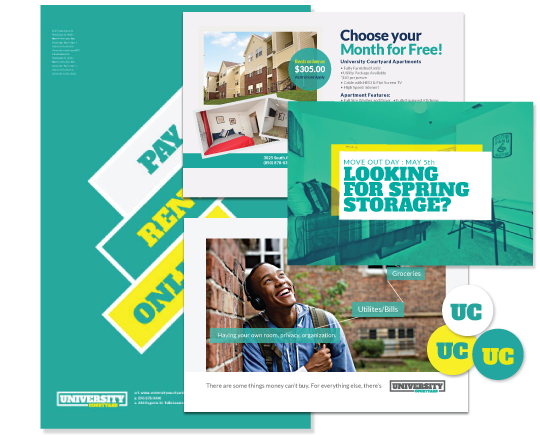 After creating a new visual brand complete with a new logo, web interface and advertisements, University Courtyard representatives were pleased. 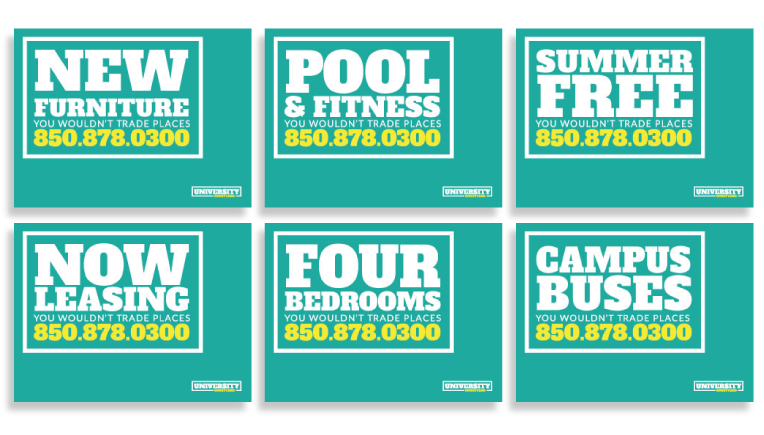 The bold logotypes and color schemes we chose turned their bland brand into an organization recognizable throughout the community as being professional, yet college-friendly.